Brief summation: Apple has won on the majority of its claims, Samsung has not been able to prove any of its points against Apple. 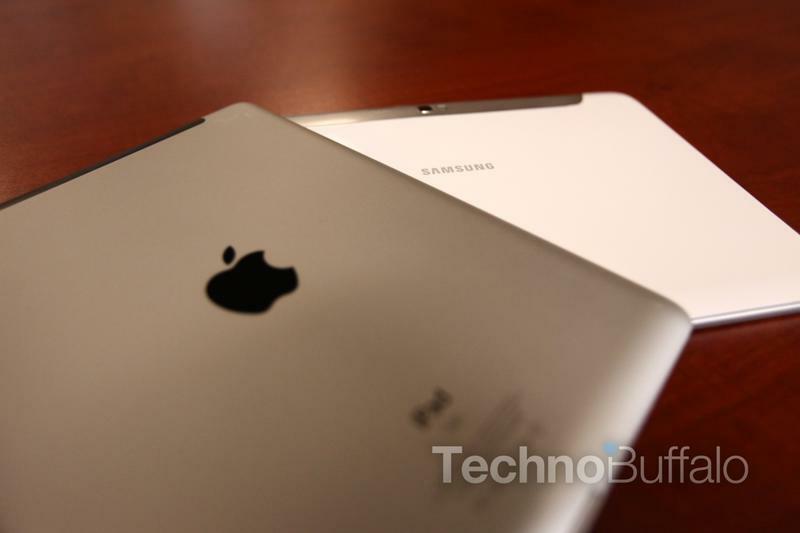 Many phones were found to have violated Apple's rights, but the tablets were found to not infringe on the iPad. Apple has been rewarded damages of $1,051,855,000 (1 billion, 51 million, 855 thousand) dollars. Samsung has been awarded $0. The jury in the Apple Vs. Samsung court case have reached a verdict. The ruling is expected to read any time now and we will update you as the information comes in. After only three days of deliberation, and a need to fill out a 20 page form with more than 700 questions, the jury in the Apple Vs. Samsung case have already returned a verdict. Everyone has assembled at the courthouse, just awaiting Judge Lucy Koh and the jury. According to the court records, the jury announced it had reached a verdit at 2:35pm Pacific. The Wall Street Journal is reporting that the entire jury deliberation went on for 21 hours. Judge Koh has entered the room, verdict should be coming soon. At this time the lawyers are asking for time to look over the verdict, which Judge Koh agrees with. The jury has entered the room and has acknowledged that they will not be dismissed until the lawyers have gone through the forms. On the claims by Apple, the jury has found that Samsung did infringe on the claim of 19 of the /301 patents – the rubber band patent.. This covers the Galaxy Tab Wifi, Captivate, Continuum, Droid Charge, Exhibit 4G, Galaxy Ace, Prevail, S 4G, S II, Galaxy Tab, Gem, Indulge, Infuse 4G, Mersnmerize, Nexus S, Replenish and Vibrant. On the 915 patent (scrolling with one finger), the jury found in favor of Samsung on the Ace, Intercept and Replenish. On the Captivate, Continuum, Droid Charge, Fascinate, Galaxy Prevail, Galaxy S 4G, Galaxy S II, i9100, Galaxy s II, Tab, Tab 10.1, Gem, Indulge, Infuse and Nexus S 4G they found in favor of Apple. On the 163 patent (double tap to zoom and center content), Samsung was found to have infringed on the Droid Charge, Epic 4G, Exhibit 4G, Fascinate, Ace, Prevail, Galaxy X, Galaxy S 4g, S II AT&T, i9100, S II, Galaxy Tab, Tab 10.1, Infuse 4G, Mesmerize, Fascinate and Replenish. The anser was "no" on the Captivate, Continuum, Gem, Indulge, Intercept, Nexus S 4G, Transform and Vibrate. For the D'677 patent (iPhone design), the Fascinate, Galaxy S, S 4G, S2, Skyrocket, Showcase, Infuse 4G, Mesmerize and Vibrant were found to infringe, but not the Ace. The D'087 patent (home button, rounded corners) was a yes for the i9000, S4G and Vibrant, but no on the S2, i9100, Epic 4G Touch, Skyrocket and Infuse 4G. The icons on the home app page (D'305) went in favor of Apple on the Captivate, Continuum, Charge, Epic 4G, Fascinate, S 4G, Gem, Indulge, Infuse 4G, Mesmerize and Vibrant. Samsung was also found that it should have realized it was infringing. They were also found to have been willful in all of their violations. As to the question of the iPhone trade dress – should the design be protected – and they found that yes it should be for the iPhone 3G. With this in mind, the Fascinate, i9000, Galaxy S 4G, Showcase, Mesmerize and Vibrant were found to be in violation, but not the Captivate, Droid Charge, Epic 4G, Galaxy Prevail, S II, Skyrocket or Infuse 4G. On the iPad trade dress, the jury found that the tablet was not protectable. On Samsung's claims against Apple in regards to the iPhone, the jury found in favor of Apple on all counts. As for the iPod touch, Samsung was also met with a resounding no. Samsung was awarded nothing in damages. That looks to be it folks. Check back in for follow-up posts trying to make all of these terms and numbers a bit more clear.